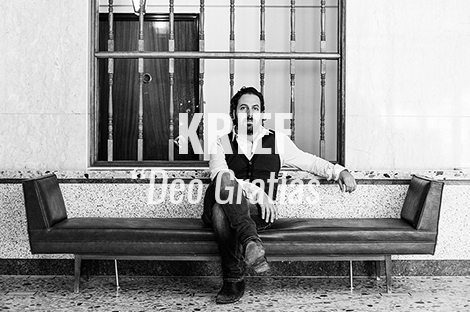 Montreal singer, songwriter and multi-instrumentalist, Patrick Krief, has premiered a new track accompanied by a stunning lyric video, directed by Chris Mills, for “Deo Gratias”. The track is taken from Krief’s highly anticipated fourth solo studio album, automanic, out September 30th via Culvert Music. According to ‘Deo Gratias’ video director, Christopher Mills “The snare drum rim shot buried in Patrick’s lush production of Deo Gratias felt like an old clock to me. I the instrumentation made me think of gears and bells, and Patrick’s soft, haunting voice made me think of a ghost inside a clock, waiting and longing. I also liked the idea that the video could have twitches to it – a bit like some kind of timelapse, or film-gate type of thing, so I projected Patrick’s image, and the lyrics into the curved glass of the clock, and used the abstract blur to create the “twitches” that come at unexpected moments, and to build the final composite of these very simple ideas, loosely assembled to back this lush song”.